Here’s a pic from my performance at the ‘Is It All Black & White?’ Festival which happened a while back in Shoreditch. 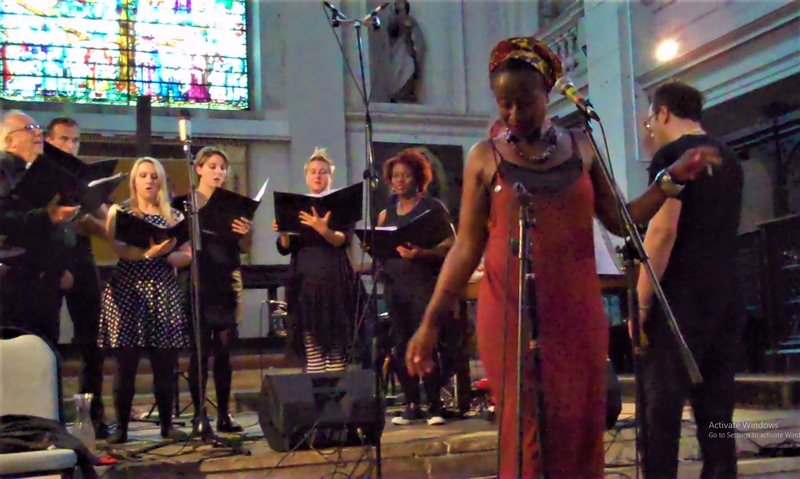 It was brill to sing songs from my Adinkra EP. I was joined by the Green Army Choir to sing my song Damé-Damé, and some members of the choir also joined me to do an impromptu song as part of the set. It was a really great experience to be backed by the beautiful tones, harmonies and voices of a choir for the first time ever, and to get such a brilliant response from the audience.